February is Black History Month and HarperCollins has many new books to celebrate the occasion. Since I primarily focus on early education, I will be discussing two brand new picture books for this month and will give two recommendations for middle grades and young adults at the end of each review. First, let’s start with a little history lesson on Black History Month. 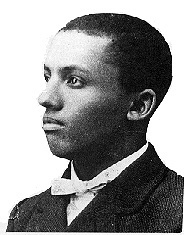 The precursor to Black History Month was created in 1926 by black historian Carter G. Woodson (the son of former slaves) who wanted to celebrate it during the second week of February to coincide with the birthdays of Abraham Lincoln and Frederick Douglass. The week of recognition became accepted and has been extended as the full month of February in 1976. Frederick Augustus Washington Bailey was born in February in Talbot County, Maryland. His birth month is important to note because as I wrote above, the inspiration behind Black History Month being in February is largely in part to honor the birth of Frederick Douglass. 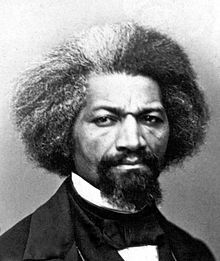 Douglass has a fascinating story and he escaped from slavery in Maryland, he became a national leader of the abolitionist movement in Massachusetts and New York, and was known for his dazzling oratory skills and incisive antislavery writings. After escaping to the North, Frederick took the surname Douglass. Douglass believed in equality of all people and as I noted in an earlier review on a book about Virginia Hull, she was the first woman to run for President with Frederick Douglass as her running mate for Vice President under the Equal Rights Party in the 19th century! Frederick Douglass: The Lion Who Wrote History is an illustrated journey of the life of the great Frederick Douglass. The story of one of America’s most revered figures is brought to life by the text of award-winning author Walter Dean Myers and the sweeping illustrations of artist Floyd Cooper, The late New York Times bestselling author Walter Dean Myers and acclaimed artist Floyd Cooper take readers on an inspiring journey through the life of Frederick Douglass. When Douglass was about twelve, a plantation owner’s wife started teaching him the alphabet. He then secretly began to teach himself to read and write through other children within his neighborhood. He later often said, “knowledge is the pathway from slavery to freedom.” On September 3, 1838, Douglass successfully escaped slavery at the age of twenty. 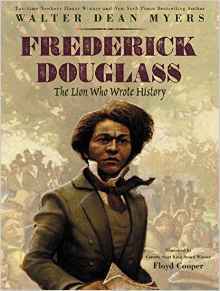 The Lion Who Wrote History is a fascinating account of account of a self-educated escaped slave in the South who grew up to become an icon. He was a leader of the abolitionist movement, a celebrated writer, an esteemed speaker, and a social reformer (see the passage of the 15th Amendment). In 1881, Douglass both published the final edition of his autobiography, The Life and Times of Frederick Douglass, and received another political appointment, as Recorder of Deeds for the District of Columbia. The story of one of America’s most revered figures is brought to life by the text of award-winning author Walter Dean Myers and the sweeping, lush illustrations of artist Floyd Cooper. This book is a must read! About the Author: Walter Dean Myers was the New York Times bestselling author of Monster, the winner of the first Michael L. Printz Award; a former National Ambassador for Young People’s Literature; and an inaugural NYC Literary Honoree. Myers received every single major award in the field of children’s literature. He was the author of two Newbery Honor Books and six Coretta Scott King Awardees. He was the recipient of the Margaret A. Edwards Award for lifetime achievement in writing for young adults, a three-time National Book Award Finalist, as well as the first-ever recipient of the Coretta Scott King–Virginia Hamilton Award for Lifetime Achievement. About the Illustrator: Floyd Cooper received a Coretta Scott King Award for his illustrations in The Blacker the Berry and a Coretta Scott King Honor for Brown Honey in Broomwheat Tea and I Have Heard of a Land. Born and raised in Tulsa, Oklahoma, Mr. Cooper received a degree in fine arts from the University of Oklahoma and, after graduating, worked as an artist for a major greeting card company. In 1984, he came to New York City to pursue a career as an illustrator of books, and he now lives in Easton, Pennsylvania, with his wife and children.